Udhayanidhi Stalin the producer of 7am Arivu has confirmed that it will release on Diwali day (Oct 26). 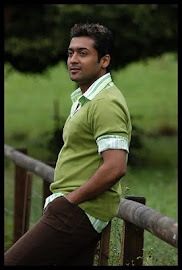 The Surya -Shruti Haasan starrer directed by AR Murgadoss has music by Harris Jayaraj. Sun TV has bagged the television rights of the film at a very high price. Udhayanidhi has announced through Twitter- "7aum Arivu will be a Red Giant release for this Diwali, on October 26! The satellite rights have been sold to Sun TV"
The audio of the film will be launched on September 10 in Singapore, with live coverage by Sun TV.